As you get ready to turn your home into a “haunted house” for Halloween, you might notice a few scary objects around the lawn. These could be any old rusty pieces of junk like an old lawnmower, tire rims, patio furniture or other broken power tools. Those actually might make a good addition to your Halloween display. But that doesn’t mean you have to hold onto them. When you’re ready to get rid of an old lawnmower and other rubbish then there’s only one call to make: Junk King Cincinnati. Junk King Cincinnati’s part of a national chain of professional junk haulers who been in this line of work for over 12 years. Most of what they pick up has to do with stuff you want to get rid of from inside the house. Things like old sofas, mattresses, appliances, electronics and other household items. But as far as Junk King Cincinnati’s concerned if you want to get rid of something, then it belongs in the back of the truck. The crew that will be sent to your house has already been licensed, bonded and insured. This makes them totally trustworthy and professional. There to show up with a positive attitude at very friendly manner. They are also great at problem solving. Although it is in complicated to load an old lawnmower onto the back of the truck if you want to take care of swing set removal or bringing down an old wooden shed, then you can count on the crew to get that done in a very timely manner. You can set up your appointment with Junk King online. You’ll be asked to pick the perfect date and two-hour window that works best for your schedule. You’ll also be asked to provide a general list of what you want to get rid of. You don’t have to lock down that list until the crew shows up. They just want to make sure there to be sending over enough crewmembers to get the job done in a single session. 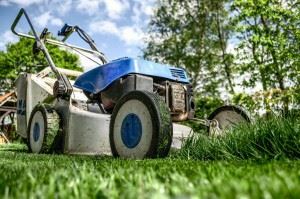 Getting rid of an old lawnmower and the rest of your yard rubbish will be a challenge for Junk King Cincinnati. This entry was posted in Cincinnati Junk Removal and tagged Junk King, junk removal, lawnmower, rubbish on September 30, 2017 by Junk King. Last updated October 1, 2017 .